Our glossy light up LED dancefloors create a real focal point and beautiful sparkle. 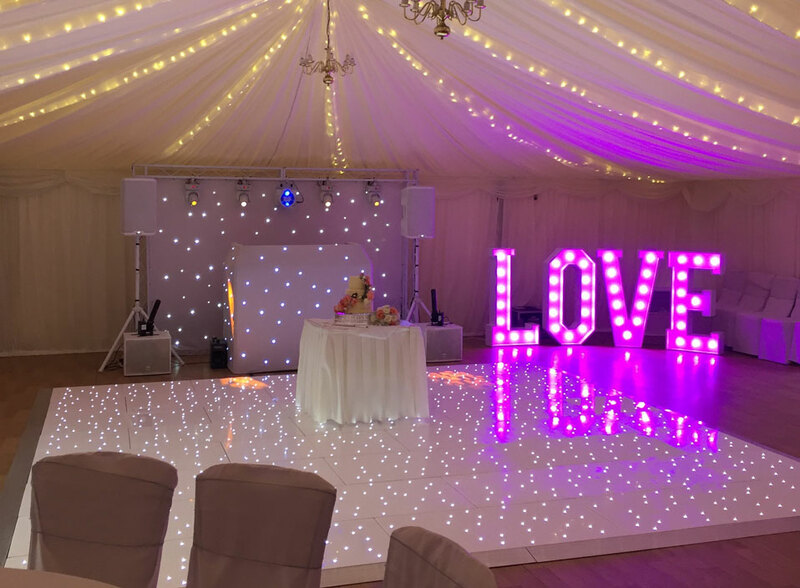 Available in black, white or mixed our led dancefloors will really encourage your guests to dance the night away! A range of shapes and sizes are available to suit the shape and size of your room. Looking for something unique? Enter your ceremony in style with a stunning white led light up aisle. Combine with our gorgeous starlight backdrop to transform your ceremony room. For more info and special package rates please contact us.